Welcome to this HR Blast. We are well and truly in holiday season so it’s time for a few HR Headaches. But help is at hand if holiday issues are vexing you! Changes afoot following a recent decision by the European Court of Justice (ECJ). Changes yet to be incorporated into UK law, but it’s already time to plan as these changes could cost some companies significant sums. The ECJ has redefined holiday pay to include an allowance for commission. The ECJ has confirmed that commission should be included in holiday pay. The ECJ has also said that other payments might also need to be included. This decision will now be incorporated into UK Law at some point. To understand your financial exposure why not check out the difference between the average pay of your workers when on holiday versus the average pay of your workers when at work. For those of you who like the detail, the case was Lock v British Gas Trading Ltd . Mr Locks was a sales consultant for British gas. His earnings were made up of 40% basic pay/60% commission. When he was on holiday he didn’t earn any commission meaning his earnings were significantly lower. Holiday while sick – not all employers are aware that if an employee is sick while they are on holiday, providing the employee follows the correct absence notification procedures they are entitled to have their absence logged as sick and get their holiday back to take another time. Holiday and maternity 1. – many employers still get confused about whether employees should receive bank holidays while on maternity – it’s a slightly grey area, but the general consensus is that they should, on the basis that to not do this, you would be treating them differently. Holiday and maternity 2. – we sometimes get issues relating to taking holiday before/after maternity e.g. it may cross a holiday year and many people are unsure whether to just allow them to move the holiday into another holiday year – which is the sensible thing to do. We do still get some employers trying to pay for holiday while people are on maternity. We never recommend this unless the employee is leaving. Holiday and long term sickness – long term sick employees should accrue holiday while they are off sick. We usually recommend allowing them to accrue their normal amount of holiday entitlement, rather than just the statutory (if this is less). If you only want them to accrue statutory, make sure your contract of employment includes the necessary clause. And for an employee off sick for more than a year? Holiday is accrued for all long term sickness and is not forfeited at any point. Therefore on the point of their return, or on termination of employment, all holiday accrued will need to be given (or paid in lieu if their employment is terminating). 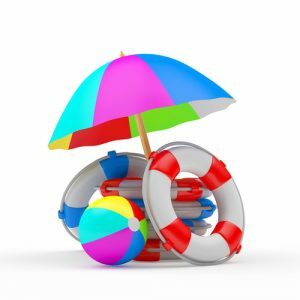 Holiday and overtime – a relatively new change is that workers are entitled to receive holiday in respect of the overtime they have been paid for. Many employers still don’t do this. We recommend calculating any extra holiday entitlement that results from overtime hours worked on a quarterly basis. Holiday and notice periods – People always get confused about whether holiday should be paid for the duration of someone’s notice. The answer is ‘yes’ if they work their notice or ‘no’ if they are paid in lieu of their notice. This is because holiday is meant to accrue in respect of time worked and clearly if you are paying someone in lieu of their notice they aren’t working. Holiday calculations for part timers – always an area designed to cause a headache! To simplify things, instead of discussing weeks and days and getting into a twist over what happens when a bank holiday strikes, we recommend you calculate the holiday for part time workers on an hours basis. In your calculation include both holiday and bank holiday entitlements. Forced time off! – We don’t see employers using their right to make people take holiday much. This could be used far more and is sometimes a missed opportunity, particularly if you have an employee who is clearly tired and working increasingly slowly. All the employer needs to do is give them notice of forcing holiday that is double the length of the holiday i.e. two weeks’ notice for one week of holiday. Get your employment policies in order so that all your managers and workers know what is and is not permitted. Include clauses about holiday pay and taking holiday in your maternity policy, sickness policy, termination of employment policy and health and wellbeing policy. Check out what the cost will be when you start including commission/extra payments in holiday pay. Check out what the cost will be when you start providing extra holiday hours in respect of overtime worked. Double check that none of your part time staff are receiving full-time bank holiday entitlement. This is a common calculation error. Need any support or advice with holidays or employment contracts and policies? Call us and our advice team will be delighted to help. Hitting your head against a brick wall? We have some Jaluch stress balls on order, email us now to stake your claim to a free one!